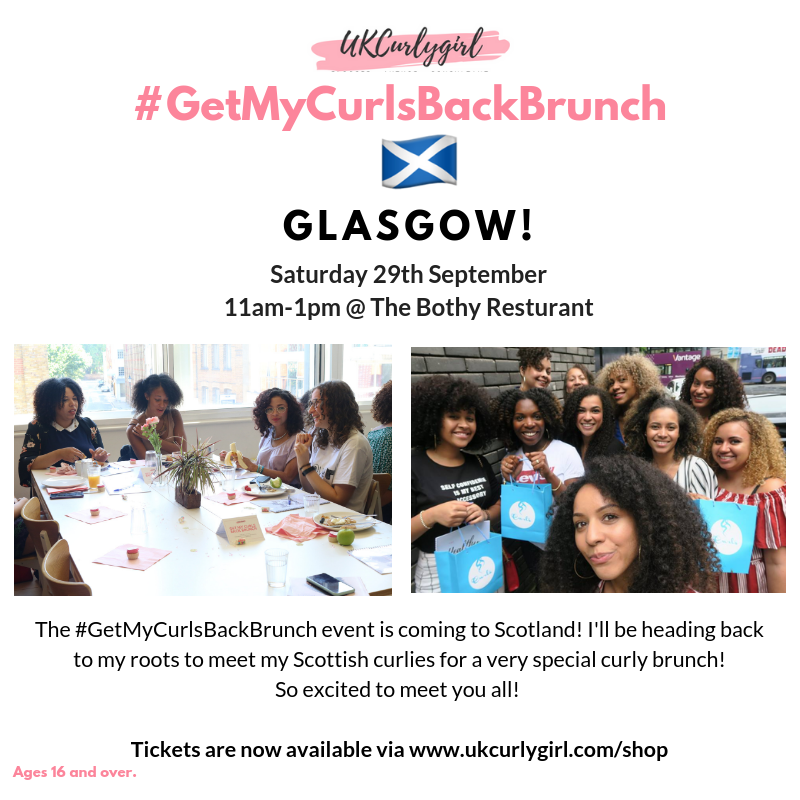 I am taking the #GetMyCurlsBackBrunch event series to Glasgow! Join me and a bunch of curlies for breakfast and curl talk! Tickets available below.